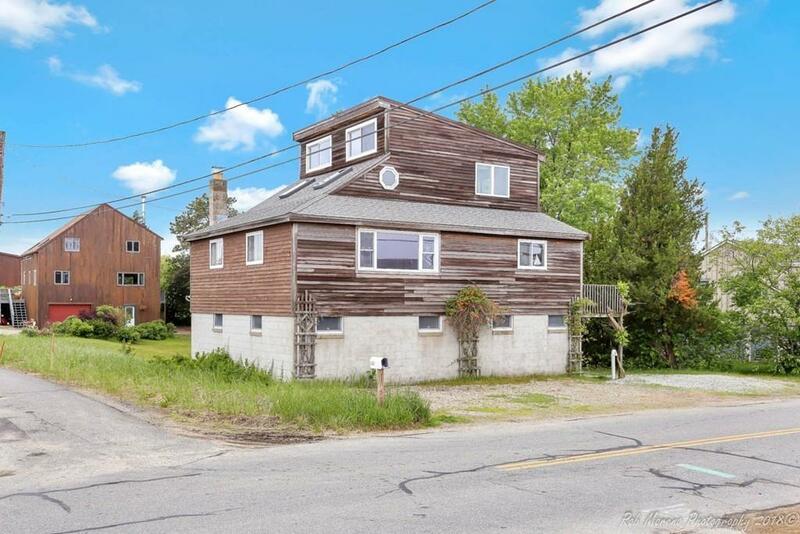 One-of-a-kind live-in year round Bay Side Home on Plum Island with spectacular bay & river views with a 5-minute walk to bay beach, perfect for privacy, boating, and swimming! This home is sunny, bright and spacious with a wide open floor plan, totally renovated since original build. It includes a Cook's Kitchen with L-shaped Island great for entertaining, beautiful wood beams and a chalet style ceiling, and best of all, panoramic views from every room in the house! Flexible floor plan can be used as a 3 bedroom or a 2 bedroom plus den. The main floor living room is open to the large kitchen, bedroom, full bath & spacious deck. The 2nd floor has a loft & an additional bedroom w/ a Juliet deck. The lower level has a bedroom, full bath & huge workshop space with plenty of storage or the potential for more living space. GREAT OPPORTUNITY FOR RENTAL INCOME! A bonus oversized driveway and grass yard makes this great for family gatherings! Disclosures Betterment Fee To Be Assumed By Buyer Which is Added To Tax Bill. Flood insurance Required Zone Ae. Lower Level is Above Grade Sq. Footage And Room Dimensions Are Approx. Current Flood insurance For Seller is $1120.